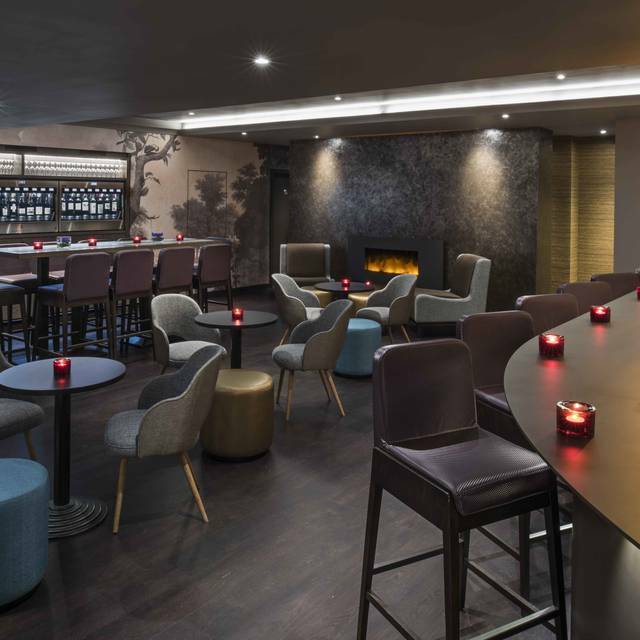 M-BAR features Entertainment in the form of DJ"s and Live Music most evenings, which creates a high octane vibe in this multi-faceted venue. 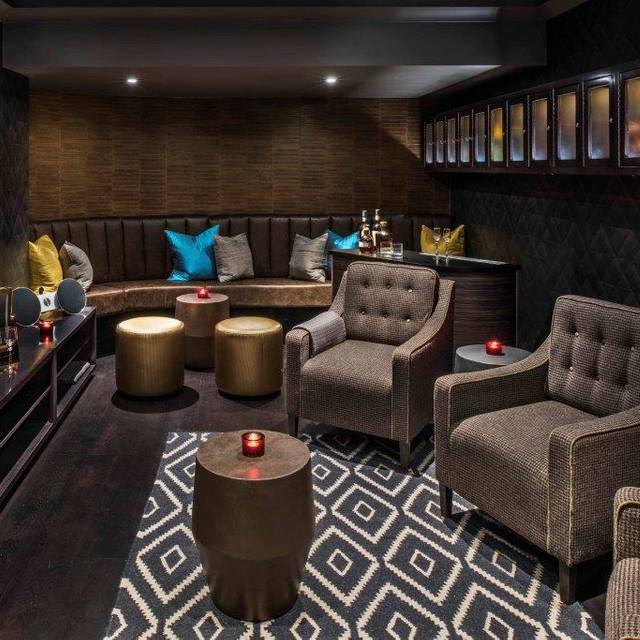 A multi award-winning city hotspot housing a destination cocktail bar, wine tasting room, M Grill restaurant, whisky lounge, private members lounge and four private dining and event spaces. 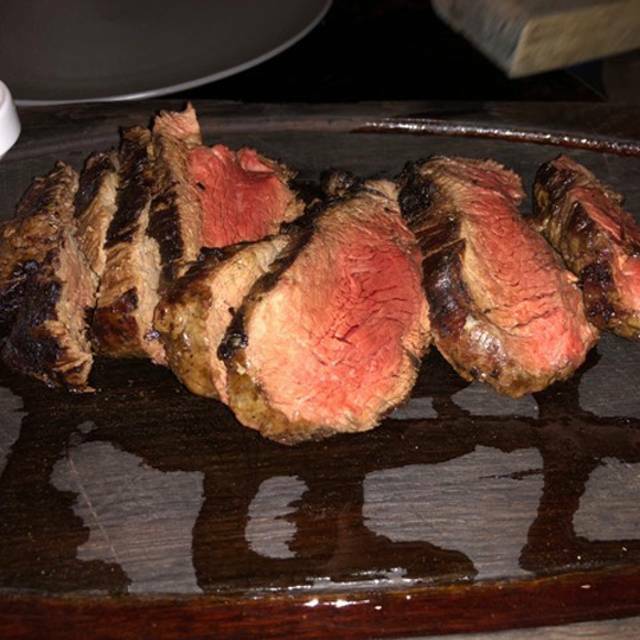 M GRILL boasts the first ‘Himalayan salt chamber’ found in a London restaurant, which ages exclusive steaks from around the world, including the highest grades of USDA, Wagyu and Kobe Beef! Listed by Harpers as ‘Best for Steak and Seafood’ the sustainable, international menu by Michel Roux and Gordon Ramsey protégé Executive Chef Michael Reid, mirrors the origin of the beef, as does the extensive, accessible wine list which also comes from USA, France, Japan, Australia, South Africa and Argentina and is worthy of his background working at one of the ’50 Best’ restaurants in the world. 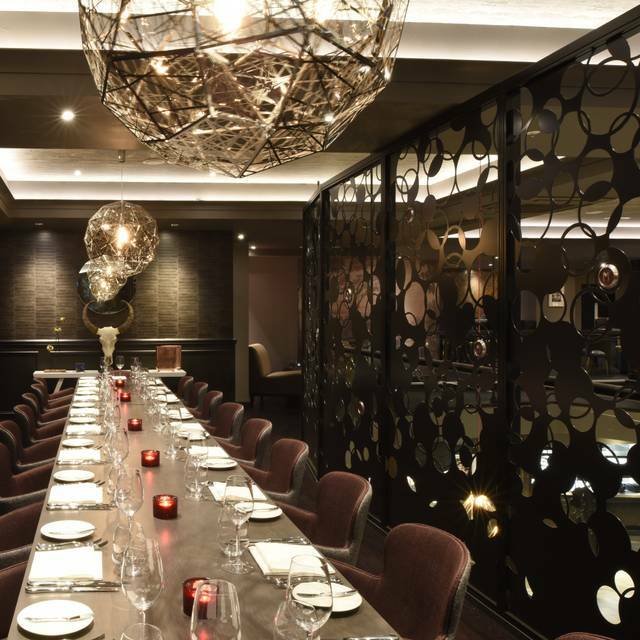 The M venue is incredibly flexible for functions, private dining and exclusive events. 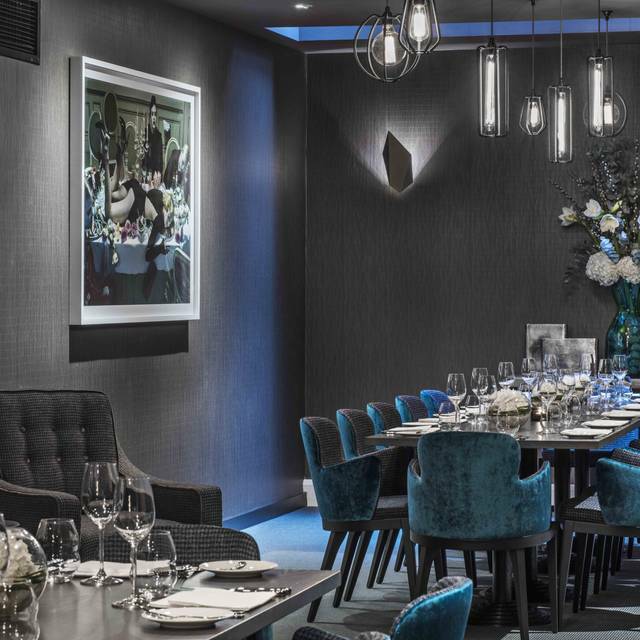 Our dedicated Sales and Events Manager is on hand to create bespoke experiences (including masterclasses and tastings), which will take you on a journey around both the venue and six continents of taste! I have to say that I’m in love with this restaurant. Every time we go there the service it’s the best. Thank you to Bianca for making everything special and for remember us. We will return. Really nice restaurant. Food was very good and well presented. The staff was attentive and knowledgable. We had a very good meal and they made us feel special. We definitely recommend. I visited from a Yorkshire for the day to meet a friend for lunch. M Threadneedle Street was recommended to me by my husband who often works in London. We ate from the Bottomless Brunch menu, which is £55 pp for 2 courses and bottomless cocktails, Prosecco and beer for 90 minutes. I also had an Amex cashback offer (spend £150, get £50 back). We arrived before 1pm and left at about 6pm as the staff were moving furniture around us! (Not a complaint, we stayed longer than expected and the staff didn’t make us feel uncomfortable). We both ate the avocado and poached eggs on sourdough, followed by the ribeye steak. Everything was great, and I really appreciated the very hot chips! The drinks service was fairly slow, I had 4 cocktails which was enough and represented good value. We also ordered desserts and a bottle of wine in addition to the inclusive food/drinks, and the bill was £200 inclusive of the 12.5% service charge which is added automatically. The brunch is served in a ‘side room’ off the main restaurant. It might be a members’ area. It had a lovely intimate vibe, with table football and pool table (not used for the most part), and a DJ. The staff made us feel very welcome, and we enjoyed our tour! I would definitely recommend the brunch, and would love to return to try out the main restaurant too. Great steaks but terrible service. Rather disappointed, as had been before for lunch and been very impressed. The service this time however was very slow and the food definitely nothing special! we spent nearly £400 and should have expected better! Best restaurant ever. If you’re are a steak lover ,please go to M Restaurant. In general it was ok! The meat was very good, and the two side salads we've ordered were ok also. The french fries could be better. The ambience is good, but the acustic not so. The service also a little bit confuse, with too many people asking the samething. Need some improvement in these areas, but again, the food is very good. Tried M Threadneedle for breakfast. Was first in so very quiet to start with and scarce service but it soon picked up on all accounts. Was better not too busy or squashed like other places such as The Ned restaurants. Food and the coffee were excellent quality. Look forward to trying the steak one night. Lovely restaurant and food. Thank you for looking after us. Absolutely incredible, service was amazing, as was the food and the location. We were seated immediately and looked after by Ryan, who was attentive and delivered impeccable service. A real asset to a brilliant team. This is always a safe bet with great service and tasty dishes. There's something for everyone. Service was fantastic. I opted for the bottomless prosecco and my glass was topped frequently enough that I didn't notice it was empty! Food was stunning! Our service was excellent from start to finish. We had a lovely waiter who even brought a little birthday cake out for my friend.He was very observant, swiftly refilling our bottomless bubbles, polite, friendly and knowledgeable. Could have enjoyed it more! 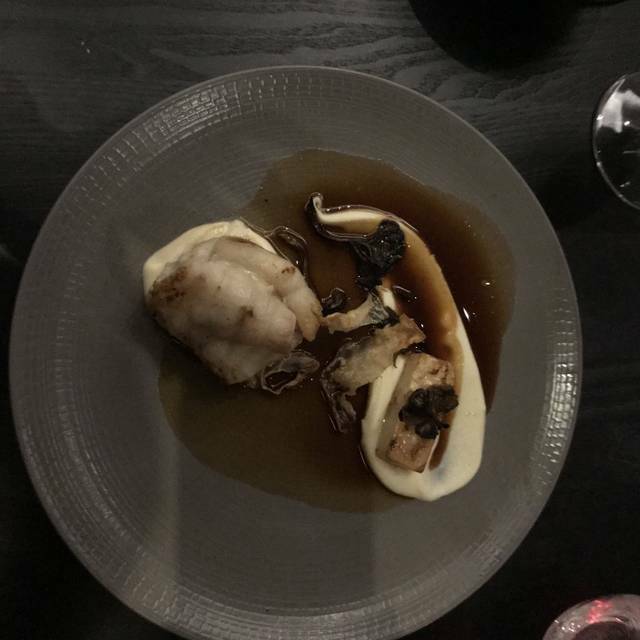 We’ve been at M Restaurant on Wednesday evening and we have an amazing experience. The food was delicious all staff were welcoming and very attentive. Rayan was lovely, he showed us the restaurant and he spend time with us. I will definitely go back! I really love M Restaurant ,is one of the best in London. We booked for the bottomless dinner which is an excellent deal. All staff are friendly and always there to help you with anything you need. Amazing food and nice atmosphere. We will return shortly! I have been to this restaurant few times and my last visit was on Wednesday . I have to say it is in my top five . Staff is very very good trained and they make you feel comfortable from your first step in. We’ve been served by a really nice waiter and he explain in detail all the a la crate menu . We ordered several starters (burrata and fried octopus both delicious) then we decided to go for 2 different cuts filet and ribeye . Meat was cooked perfectly and we really enjoyed. I really recommend this special restaurant! Always happy to be back at M. We had a business lunch on Wednesday which was spotless. We had the best steaks and a really good wine which Alexandra the waitress recommended. After our meal the manager showed us the members club were we decided to stay for couple of beers. All the staff were friendly and attentive. We will be back! Great food and service! We will definitely go back once we are back in London. Steak was poor quality Wagu and not cooked correctly. We had Wagu Skirt. We were told it wasn’t fatty even though I have had skirt before and it does tend to be fatty. It was ordered as it should be med rare to ensure the fat cooks and flavours the meet. It was poor quality. We raised this and they took one main off the bill. The staff should k ow meat cuts in a restaurant. Service was slow and not very personal. If you’re in need of a restaurant that offers great steak/ food overall nothing can be said against the M.
The place is very sleek as well. Service isn’t bad but doesn’t match the price category. The servers try more or less to offer good service but seem to lack coordination, knowledge about their foods and attention to actual details. Long story short the impression that the coatcheck/host offer at the entrance is not upheld afterwards. I’ve been twice and know a thing or two about hospitality so maybe I’m just too critical. Enjoy the Steak!! A great venue for a business dinner and the South African's said they had never tasted meat as good as this! Great venue and would highly recommend. The bar organisation is a mess with too few staff, orders coming in from the floor and new bartenders not knowing recipes, resulting in myself and colleagues, as well as others, left standing without drinks or even recognition of our presence. I feel certain that this is a teething issue however and expect that it will be sorted soon. The floor staff however were fantastic, attentive, well informed about the dishes and very positive throughout the meal. The food wasn't the reason that I went, but it was satisfactory, that is all, with steaks left lonely on a plain white plate (no pepper sauce to even order?!) and any sides coming in flatly presented fashion. Atmosphere was the right side of loud - we could talk without raising our voices and laugh without feeling obvious. I would go back again, but for the right reason. Would recommend for the chefs to take a look at front of house. The service was disorganised and the lack of interest is overshadowing their great, tasty, well presented food. Such a lovely restaurant the staff were so pleasant to me and my friends especially Alexandra she was brilliant. The food and cocktails were AMAZE! Me and my girls were running a little late due to no parking nearby and the snow, so we had to wait at the bar which was fine. But when we got the table it was by the door and I believe the manager who was also super lovely moved us away from the door to a better table. Highly recommend M Threadneedle their service is absolutely fantastic and great food too. Sadly not very good. We had to wait half an hour for our table, then my wife had to ask 3 different servers 4 times to get a Coke. When our amuse bouche arrived at the table to be smoked there wasn’t any fuel in the smoker, so after unsuccessfully trying a few times the server had to go in search of more. Unfortunately one side of my steak was burnt when it arrived and we had to ask twice for condiments. Generally not bad, but far from the level w were expecting. Lovely evening, good service, not rushed at all, was a lovely evening with great food and an amazing wine list. Cocktails were pretty good too. Cold food, cold restaurant, servers that think they're too cool to actually serve. Booked for lunch for 3. Welcome was very poor, not welcoming but brusque. Amuse bouche was lovely . Wagyu biltong snack was so disappointing.. Ordered a pinotage on menu .. there were 2 , but didnt ask us which one. Already opened it when we realised it was wrong one.. poor waitress called sommelier who said sorry she was new and hadn't been trained yet. Agreed a discount rather than open right one. Fair enough. Chips were awful, steaks great, hake and truffles at end good. Too many different staff serving us who didn't know what others had done. In this is a swanky place.. big let down , been to better more efficient places... not again! we booked this restaurant for my girlfriends birthday and for once i didn't look ahead at the menu!! The furniture, ambience and lighting is what you would expect from a high end restaurant and the lady running the front of the restaurant was warm, welcoming and friendly. Again the waiting staff we perfect leaving enough time before receiving the menus and asking if we were ready and also leaving plenty of time between courses. There was no pressure to rush what so ever like you find in some places.This is certainly a restaurant that I will visit again, both socially and with clients. I’ve been there with a couple of friends. Really enjoyed food and great service. Hardly recommend this restaurant! An extraordinary restaurant with great service. For beef lovers it is the best choice near Bank Station. Because we talk about high quality beef, the prices are high. Desserts are also special but the most wonderful thing are the waiters who know everything about recommending wines or beef. Highly recommended!